It has been a one-sided election in Uttarakhand. The BJP won 57 seats out of the 70 results declared. It would indeed form the government on its own. The Congress party has managed to win only 11 seats, while Independents won 2 seats. The chief minister of Uttarakhand Harish Rawat lost the election as well. The Exit polls had predicted a close contest in the state with a slight edge to the BJP. But they have been proved wrong as it is a convincing victory for the BJP in the state. Development was one of the major issues in the elections. Earlier, Harish Rawat had managed to survive an attempt to topple his government and had played the victim card, but the results show that it did not work. BJP has all the reasons to be happy with its victory in Uttarakhand as it was this hill state where the attempts to topple the Harish Rawat government were met with failure. The decisive and convincing victory has emboldened BJP for the future. However it has to perfect its balancing act as well and accommodate as many contenders for the top posts as possible. The BJP had not declared its chief ministerial candidate in the state, it won on the charisma of the prime minister which at the moment is monumental. Dehradun mayor and Dharampur legislator Vinod Chamoli is strongly lobbying for a cabinet berth but denies it openly. 11 ministers along with the chief minister are likely to form the government. 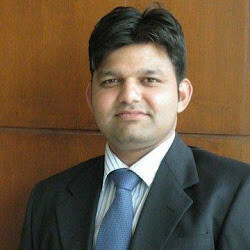 Eight-time MLA Harbans Kapoor is indeed a serious contender for the post of cabinet minister. Ritu Khanduri, daughter of former chief minister BC Khanduri, and Saurabh Bahuguna, son of former CM Vijay Bahuguna, are also strong contenders for a ministerial berth. Vinod Kandari a new face in the BJP but is also a claimant. He is a former ABVP activist and close RSS. Rajesh Shukla who defeated Harish Rawat from Kichha and Yatishwaranand who defeated the CM from Haridwar rural are also pitching for the ministerial berth. Who actually gets the place in the cabinet is something only time can tell. Then there is a challenge in this Hill state to balance the two regions of Garhwal and Kumaon in the ministerial berths. It has also to accommodate the erstwhile ministers in the Khanduri government like Madan Kaushik, Bishan Singh Chufal, Trivendra singh, Harbans Kapoor and Khajan Das, and also the congress rebels who were instrumental in its win like Harak Singh Rawat, Yash Pal Arya, Kunwar Pranav Singh Champion and Subodh Uniyal, who are all strong claimants for the ministerial posts. If BJP has to maintain its position in the state it would have tough task of keeping everyone happy in the state. Click to Know more survey results.. Besides unemployment and migration, lack of power and other infrastructures like road constitute major electoral issues in the state. According to a data, more than 7 lakh people, of whom 90 per cent are educated, are unemployed in the state. But this data only takes into account those who are registered with the state’s employment exchange bureaus. That means the number of unemployed people could be much more than what meets the eye. Religious tourism is the lone employment generating source in the state. Migration of people from the state is linked with unemployment. As many as 1,100 villages in this mountain state are complete empty, while there are 664 villages in the Garhwal region with just a handful of residents who are either old or sick. 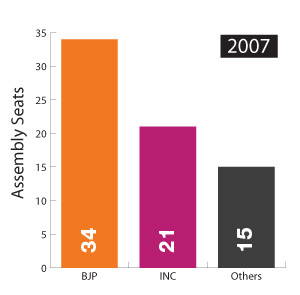 The last assembly elections were held in 2012. Polling was conducted in all 70 constituencies in single phase. The Indian National Congress won 32 seats while the BJP got 31. Although it did not secure majority, the Congress emerged as the single largest party and formed government by allying with the PDF. Congress member Vijay Bahaguna was appointed the chief minister. After Bahaguna's resignation, Harish Rawat became the state's new chief minister in 2014. With nine Congress MLAs resigning from the party, main opposition BJP made a failed attempt at toppling the government in Uttarakhand. It imposed President's rule in the state in March 2016 which was later revoked by the Supreme Court of India. Some of the constituencies in the state are Purola, Yamnotri, Gangotri, Badrinath, Karnprayag, Kedarnath, Rudraprayag, Deoprayag, Ghanshali, Narendranagar, Pratapnagar, Tehri, Dhanolti, Chakrata, Vikasnagar, Dharampur, Rishikesh, Hardwar, Roorkee,Pauri, Yamkeshwar, Gangolihat, Nainital, Bageshwar, Almora, Lohaghat, Haldwani, Kaladhungi, Kashipur, Rudrapur, Khatima, and Nanak Matta . The five constituencies for Uttarakhand which took part in the 16th Lok Sabha elections saw a sweeping victory by the Bharatiya Janata Party (BJP). Almora, Garhwal, Hardwar, Nainital-Udhamsingh Nagar and Tehri Garhwal were the five constituencies in the state which were bagged by the BJP. The state of Uttarakhand is headed by its present Chief Minister of the state is Harish Rawat. Bharatiya Janata Party (BJP), Indian National Congress(INC), Communist party of India (CPI)etc. are some of the leading political parties of the state besides regional parties like Samajwadi Party (SP), Janata Dal (Secular) [JD(S)] and Janata Dal (United) [JD(U)]. 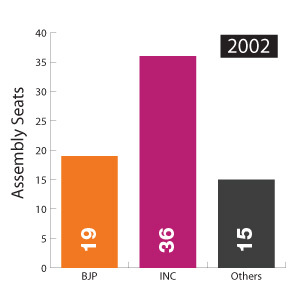 In the last assembly and the Lok Sabha polls, INC has been leading the state politics. Mala Raj Laxmi Shah, Satpal Mahara, Pradeep Tamta, N D Tiwari were few of the prominent leaders of the state. 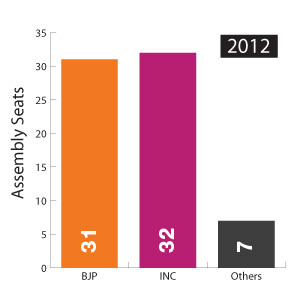 The opinion and the exit polls suggested that BJP would lead the state's seats in the 2014 Lok Sabha Polls.